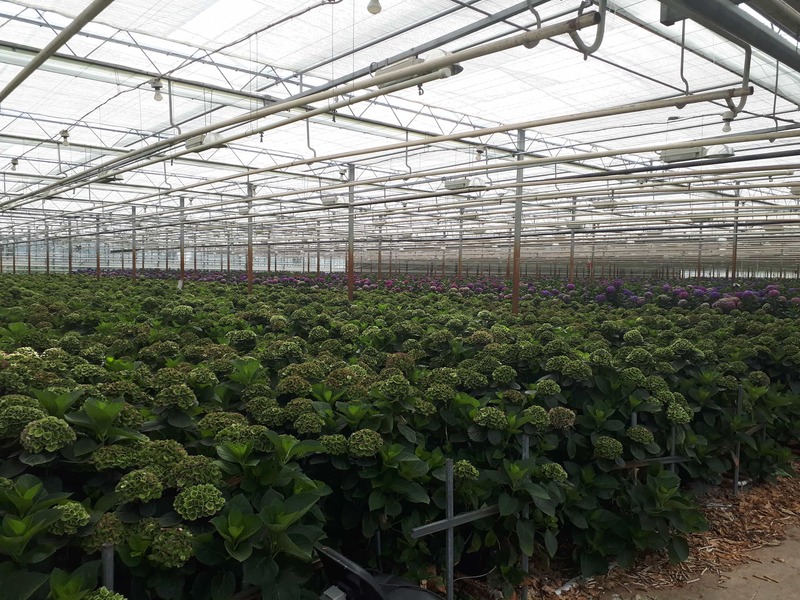 Our buyer Jordy has recently been on a Hydrangea road trip to the eastern part of Holland, to bring a visit to the several Hydrangea nurseries located in this area. Compared to the western parts of Holland, the overall climate in the east is slightly different: less wind and a little temperature difference. But we all know that minor changes can have a big effect on flowers! That is exactly why Jordy wanted to visit: to take walks in the nurseries, talk with the growers and look at how those stunning flowers are grown. The first nursery to visit is located in Velden, in the northern part of the Limburg region. 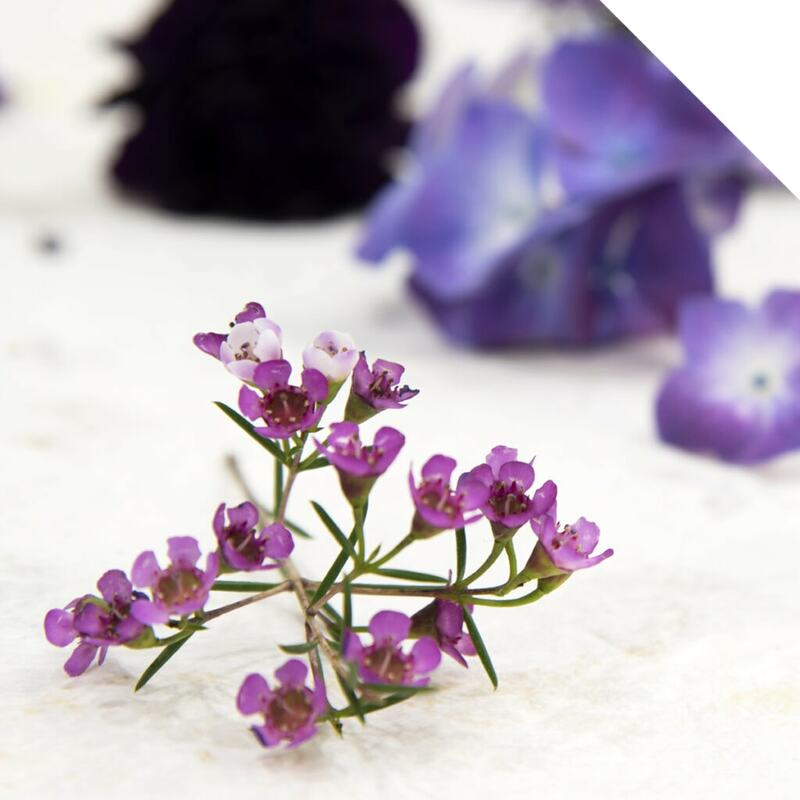 Queens Flower has a range of 17 varieties in different colors, and amongst them are the beautiful Rodeo Purple and Pimpernel. 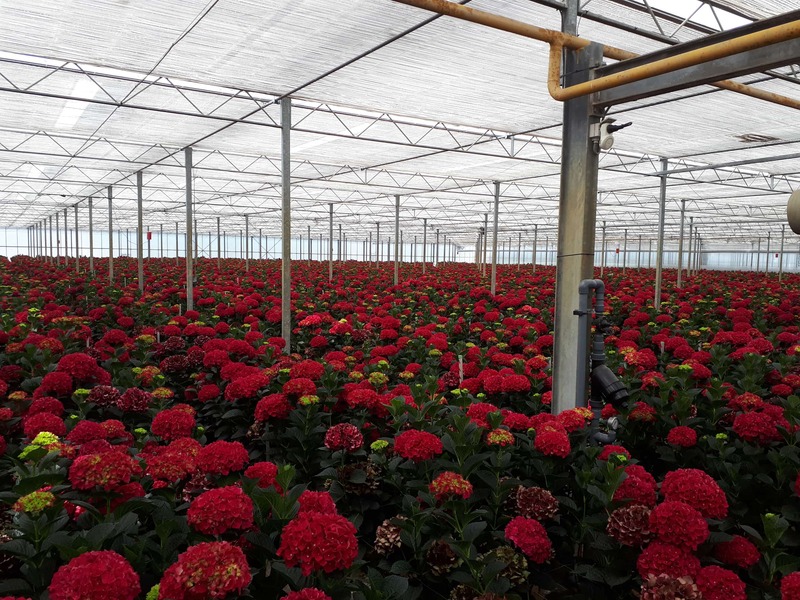 Compared to other greenhouses, Queens Flower’s 5,5-hectare greenhouse is very high. Because of this, the incoming sunlight is slightly different and the colors of the flowers (especially the reds!) are deeper and richer. 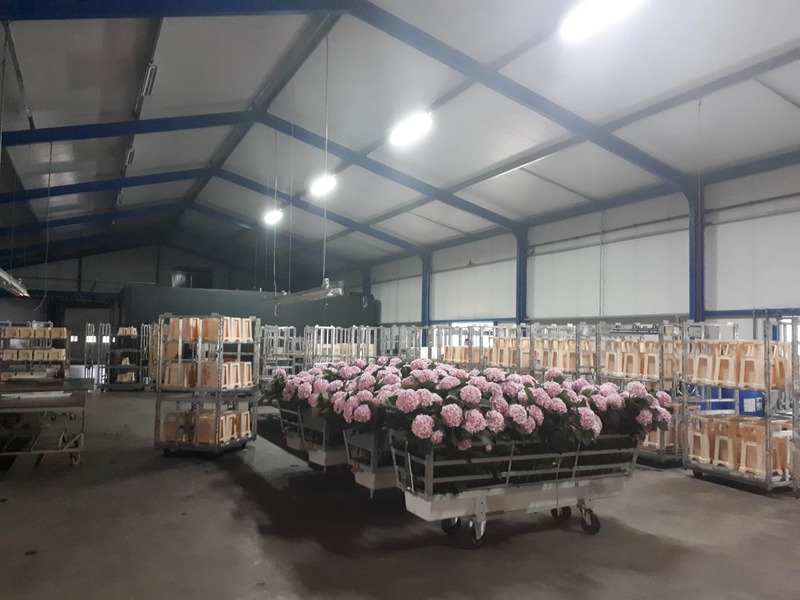 The production area of Queens Flowers, with the lovely looking Verena Pink. The Greenhouse with beautiful Hydrangea Pimpernel. 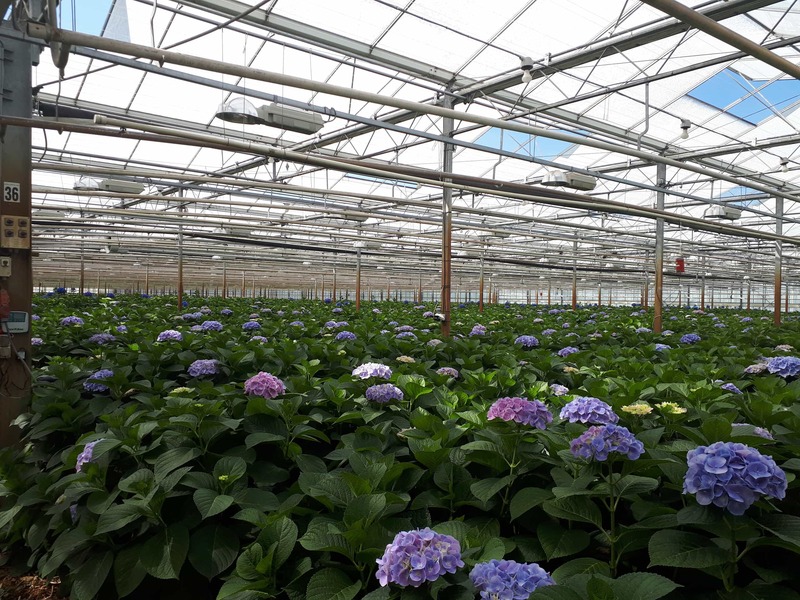 Next stop on Jordy’s Hydrangea road trip: the small 1-hectare nursery of Houben Hydrangea. 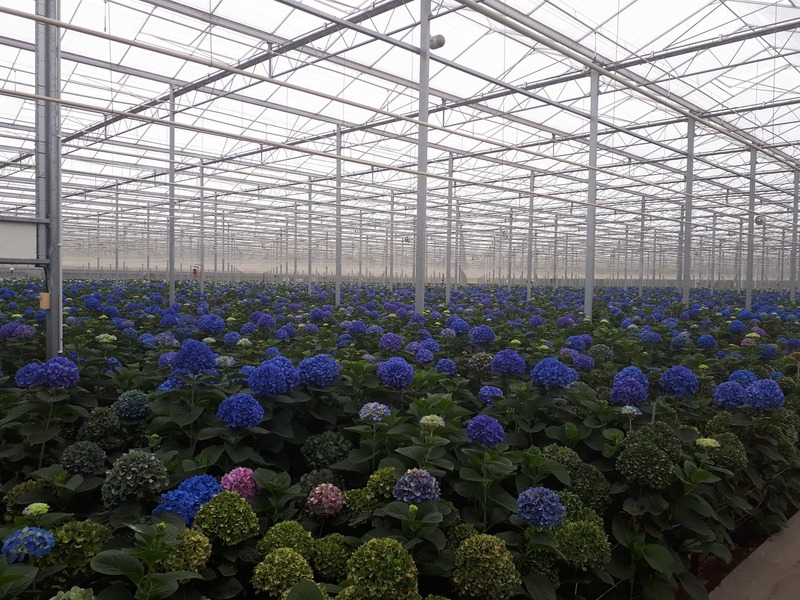 This grower also has a high greenhouse, where the amazing Hydrangea Glowing Alps, Elbtal, Emerald Green, and Schneeball are grown in fresh and classic. 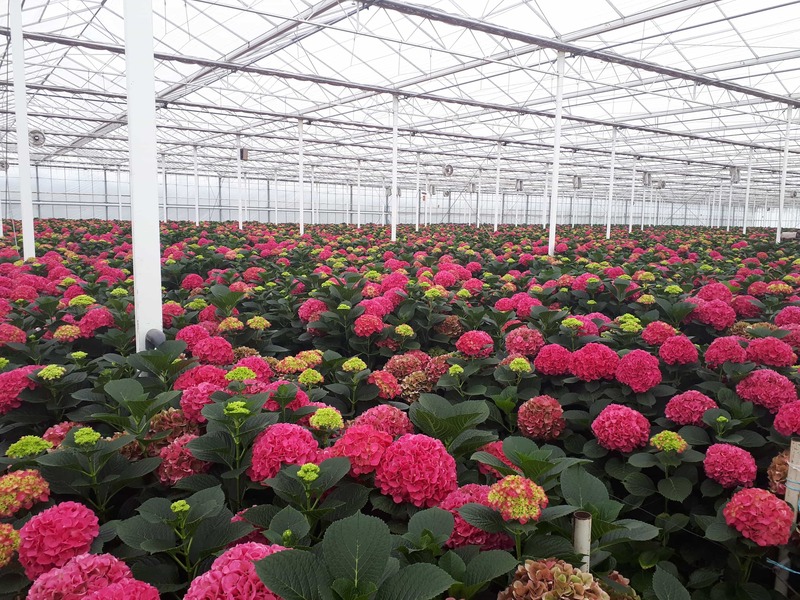 Located in Baarlo in the Limburg region, Nijssen grows the pretty Hydrangea varieties Adora, Verena Pink, Green Fire, Coral, Glowing Alps and Elbtal in fresh and classic. With care and passion, the crops are grown in a crafty way. After a trip of an hour, Jordy reached Zaltbommel, in the Gelderland area. Over there, the 2,5-hectare nursery of De Tijningen is located. De Tijningen is a real family business; the Hydrangeas are grown with love. 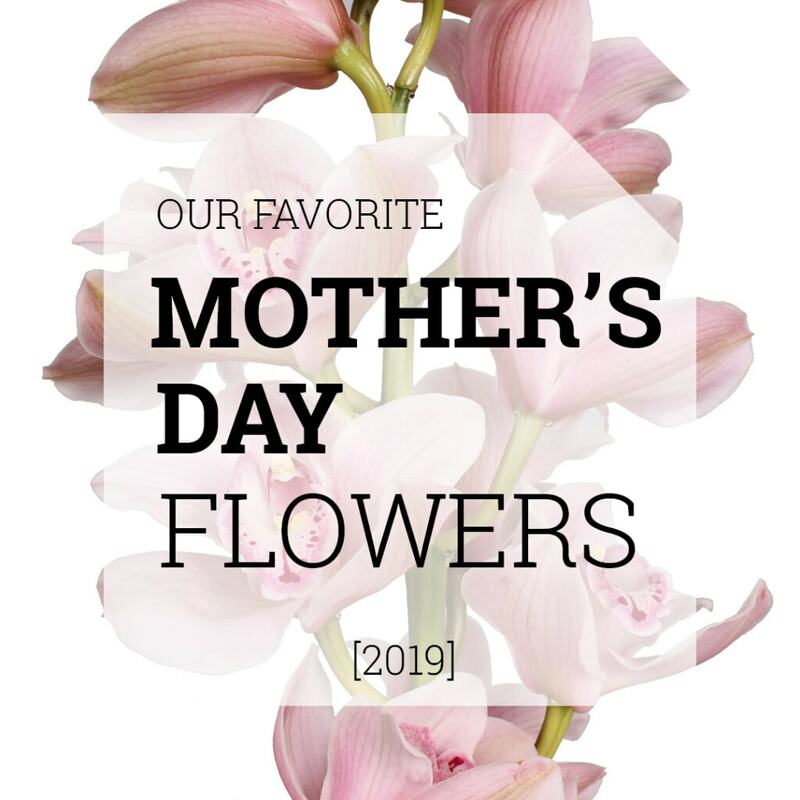 Their range consists of the Hydrangea varieties Marsepein, Verena Pink and Blue, Amethyst, and Schneeball. The greenhouse looked very neat and clean. Hydrangea Marsepein: just a stunning view in the greenhouse. The last nursery to visit was Maatschap Ermstrang, located in Brakel in the Gelderland region. 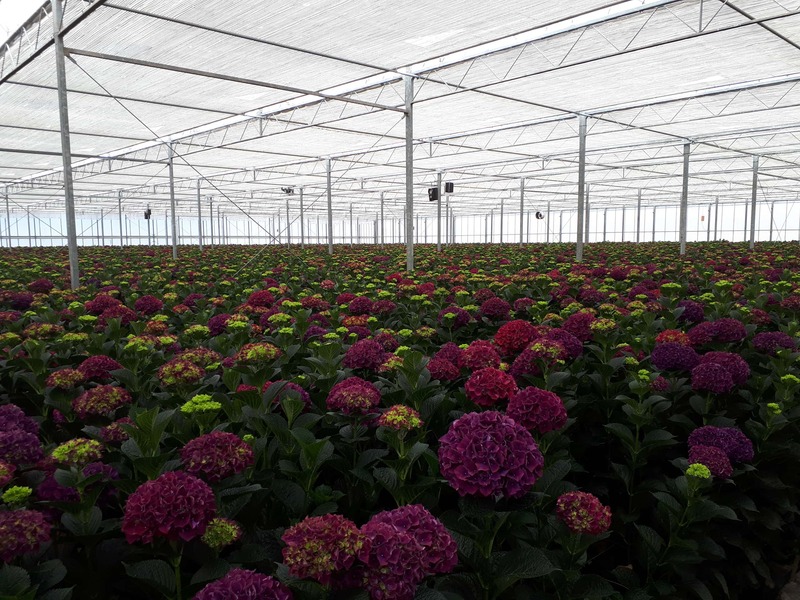 The grower showed Jordy the part of the greenhouse full of beautiful Hydrangea Ruby Reds and Ruby Purple, just stunning! 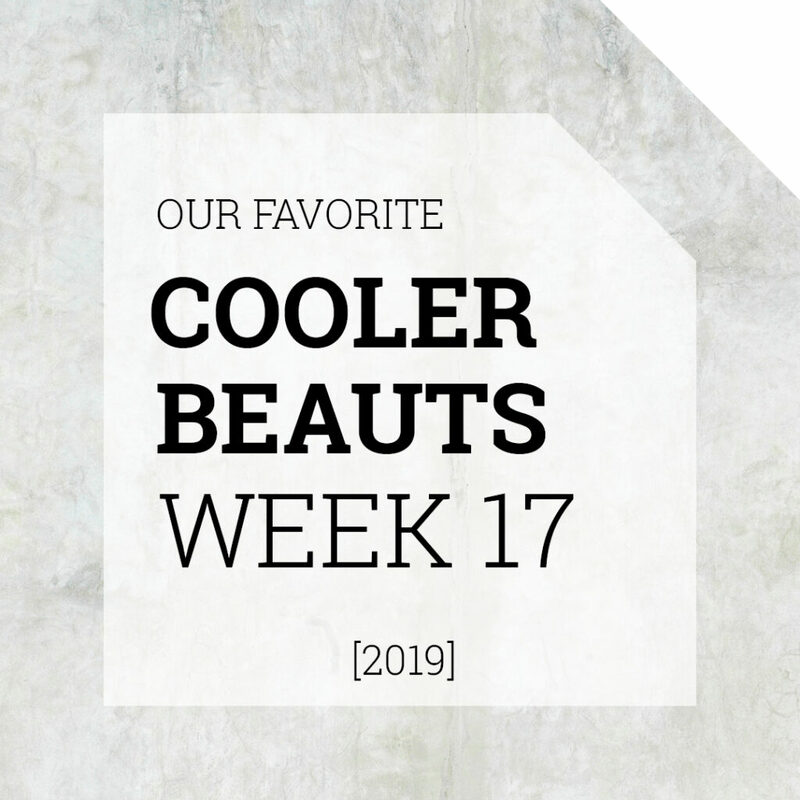 Besides these varieties, they also grow Emerald Green, Schneeball, and Verena Pink. This grower is also active on Facebook; they share videos and photos from time to time. Start following their page (click here: https://www.facebook.com/mtsermstrang/) to stay up-to-date about their production! The greenhouse filled with Hydrangea Ruby Red. Hydrangea Ruby Purple: what an amazing color!! 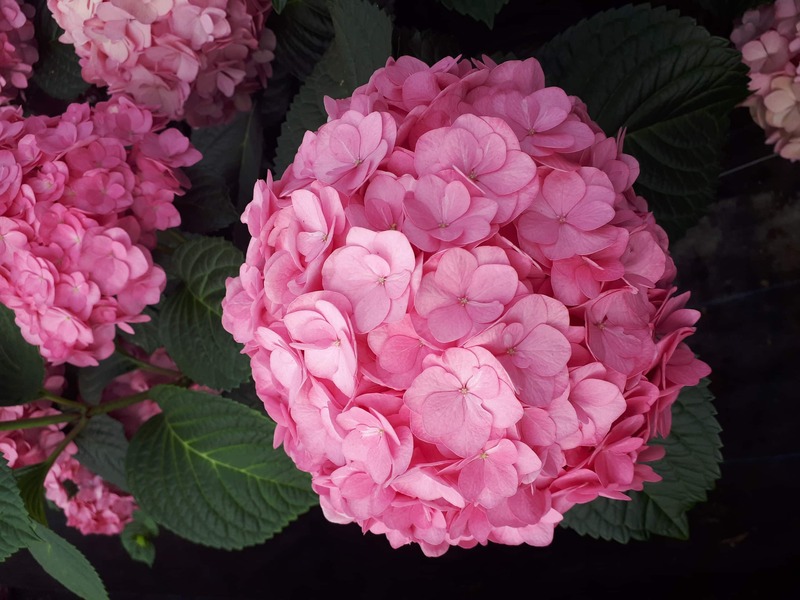 For our current Hydrangea offerings from this high-quality growers, please visit our webshop!